Note: A minimum quantity of 280 must be ordered, and in units of 40 thereafter. 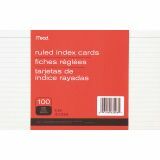 Mead 5" x 8" Ruled Index Cards - Index cards come ruled for neater notes. Ideal for students and professionals. Each card has a red margin line with plenty of space for a title and blue lines for notes. 90 lb. 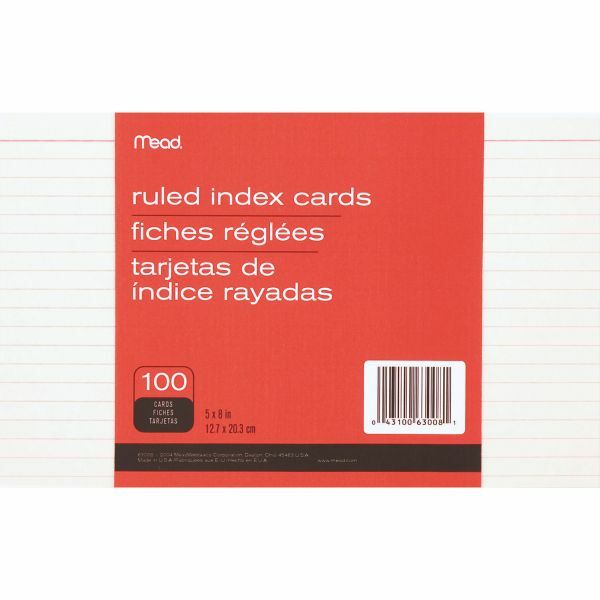 index stock is sturdy and dependable.